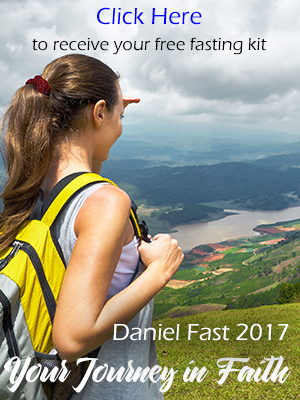 The Daniel Fast is 24/7 for 21 days. No specific times to eat, so you can have breakfast. Oatmeal, fruit, brown rice cakes with peanut butter are just a few of the ideas. Hello susan on daniels fasting are you allowed to have breskfast? ( I don’t ) just a bit confussed and wondering why people are asking for breakfast idea. thought you can only eat in the evenings? If it’s from whole grain rice (i.e. brown rice). Yes, take medication as needed to relieve the discomfort that you are in. Be Blessed! Hello, I started the Daniel fast about about over a week ago. I’ve had an absess tooth in the past and it’s flared up really bad, so I’m in pain and I don’t know if I can take anything for it. I have dabbed clove oil on it but I have no more left and can’t get to the store right now. Since tooth paste is allowed due to not actually being eaten, I’m gonna rub some anbesol on it, which is a oral anesthetic. Pleas let me know if this is ok. The only beverage is water . . . plant-based milks can but used in recipes, but not to drink as a beverage. If lemon in our hot water causes cramping . . . switch to plain water. I hear ya about the cold weather. It’s been sub-freezing temperatures where I live since long before Christmas! Thank God you have hot water! I don’t understand. Why are plant-based milks allowed, but not herbal teas? Isn’t milk considered a beverage? It’s very cold out right now, and I would enjoy a warm drink. I tried hot water with lemon, but every time I drink it, it causes cramping.
. . . except that the only beverage on the Daniel Fast is water. So the soy steamer will have to wait until after the Daniel Fast. For hot drinks, try a soy steamer from Starbucks! Great substitute for coffee! The only beverage on the Daniel Fast is water (see Daniel 1), so Pero will need to wait or be used in a recipe rather than as a beverage. Unsweetened almond milk is allowed as are other unsweetened plant-based milks. The other items you mentioned are fine, but adopt the habit to READ THE LABLE on prepared foods so you can a review the ingredients to make sure the contents complies with the Daniel Fast. Be blessed and have fun with your sis! My sis and I are starting tomorrow..Jan3. She’s in Atlanta and I am near Minneapolis…We are both stocking up today. I am making vegetarian split pea soup..and groc shopping later. We are texting back and forth and wondering about a few things and whether or not they are allowed. This is our 3rd year doing this, btw. Here are the items in question: Salt, pepper, almond milk, olive oil,olives, and Pero (a grain beverage that is similar to Postum, also a grain bev. ) Pero is a hot drink and quite a tasty and good substitute for coffee…Thanks for the tip on the caffeine withdrawl…I am NOT looking forward to THAT! Yes, rice flour is allowed on the Daniel Fast when it originates from the whole grain. can i eat something with rice flour as an ingredient? Starting 3rd week Daniel fast. First time ever. Wish I had this website information at the beginning of fast as to dos and don’ts. Must confess that I have errored. I am glad to have read this website so that I can finish the last week of this fast the correct way. Yes, caffeine withdrawals can be difficult. You can mitigate them by drinking a lot of water and taking extra Vitamin C. Also, eat bananas and cantaloupe. I just started the fast yesterday — terrible headaches — went home from work and slept 3 hours. I am feeling somewhat normal today, but the caffeine withdrawls are rough. Thanks for this blog and the wonderful recipes! I am truly seeking God’s face. I drink hot water or water with lemons. Some folks add sliced cucumber. But you might start enjoying water, just plain! Try to drink at least 1/2 gallon a day and you will find great benefits! It’s the best cleanser and it also suppresses appetite! can you have apple juice? I just started today and man am i missing caffeine but man GOD IS GOOD!!!!!!!!!! In Daniel 1 we read that the prophet ate only vegetables and drank only water . . . so not only is Starbuck’s off the list, but so are all other beverages except for the clear, fresh stuff. With that in mind, I often drink heated water on chilly days like we are having today in Central Washington (the State, not the city). We warmed up to 34 degrees! Have been on the fast for 5 days now I was wondering, in these cold months is there a hot beverage you would recommend,(since we can’t have that hot cup of Starbucks coffee?? ?